For use on horses, livestock and sheep. Kills and repels 100% of insects, including misquitoes. Long Term surface residual – apply to all surfaces that insects congregate on for best results. 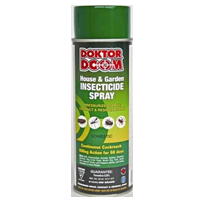 #1 selling residual spray to kill ants and ant hills. One application lasts weeks in sunny areas, and months in shaded areas. 70 gram Mini Fumigator: Great for eliminating wasp nests under steps & porches or to fumigate your average size room up to 10? x 10?, greenhouses, attics, crawl spaces or wherever else you have a major infestation of insects. Flushes out and eradicates insects pest on contact. 150 gram Total Release Fumigator: Great for larger rooms within the home, cabins, RV’s, small airplanes, boats, larger attics, greenhouses, garages etc Fumigate areas up to 15 x15. 400 gr. 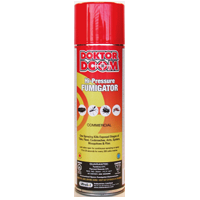 Hi-Pressure Fumigator ideal for use in areas with a heavy infestation of insects also for use in larger areas- will fumigate areas up to 25 x 25. The biggest benefit to using the Total Release Fumigators is that they are made with natural pyrethrum which biologically breaks down in a couple of hours thus providing very fast re-entry times to fumigated areas. 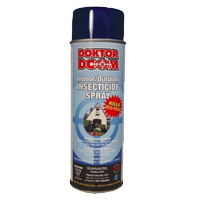 They really do not have a strong odor- which also provides the homeowner with a peace of mind as there are no long lasting obnoxious odors lingering in the air; if used in conjunction with Doktor Doom Residual Products will provide the Homeowner with a bug free environment. Use the fumigants first to flush out and eradicate the insects and then follow up with the Residuals to prevent further enter of pests into your home or gardening environment. For use on all plants except food crops. 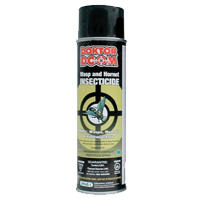 Long term kill of many insects after just one use. Residual control of Aphids, Whiteflies and 100’s of other leaf eating insects. Control for fleas, ticks and other insects found on pets. Contact spray only-no residual activity. For use on most vegetables, fruits, flowers, herbs, trees, vines and houseplants. Kills spider mites, scale, mealy bugs, spiders, earwigs, silverfish, cockroaches, and other hard to eliminate pests. 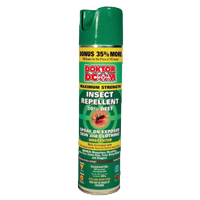 30% Deet-highest concentration approved for use by Health Canada. 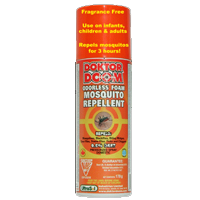 Repels mosquitoes, ticks, black flies, stable flies, deer flies, biting midges and chiggers for a minimum of 6 hours per application. For use on all exposed skin and exterior of most clothing. 10% Deet-highest concentration of Deet approved for use on infants (6 months or older), and children. 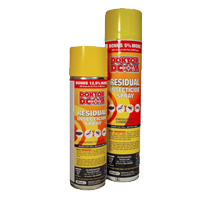 Repels misquitoes, black flies, stable flies, deer flies, ticks, biting midges, and chiggers. Contains special emollients that make it soft on your skin. Foam application-no waste or mess. Safe to use up to 3 days before harvest. 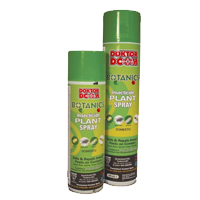 #1 selling premium quality place incecticide spray in the indoor gardening market in Canada. Contact spray only, no residual activity.